These Inspirational Page Pals plush bookmarks are a great way to show both your love of faith and reading. 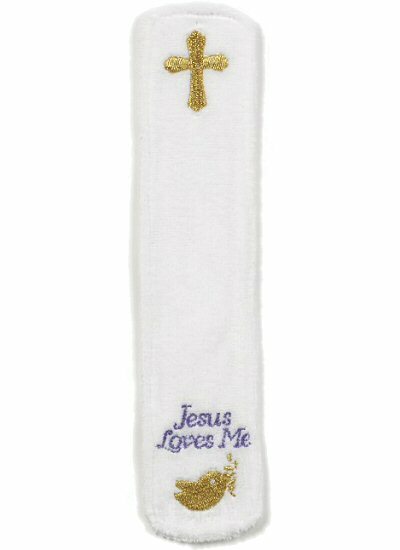 Made of soft white plush, these soft bookmarks have beautiful embroidery featuring a gold cross at the top, gold bird at the bottom, and a choice of purple message - Believe, God Bless, and Jesus Loves Me. 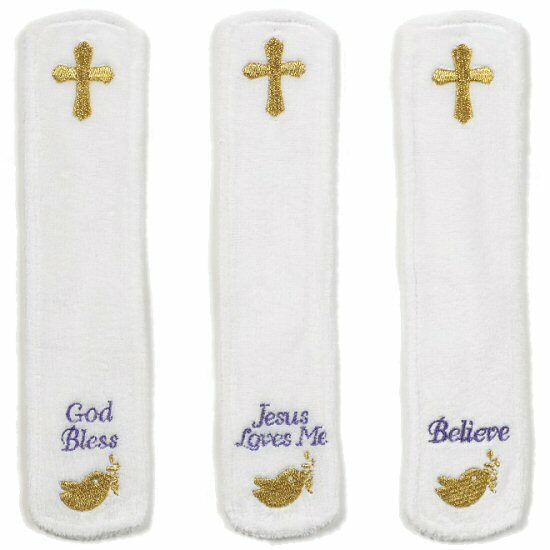 These Inspirational plush bookmarks are great for Easter baskets, prizes, or everyday encouragement. Baabsy, this adorable Taddle Toes stuffed lamb, has soft and woolly cream fur with cream accents and tan feet pads. This adorable little Handfuls plush lamb has a super-soft cream body, pink nose, and sweet face. This adorable little Handfuls stuffed bunny rabbit has a sweet smiling face and super soft gray fur. This cute little gingerbread man Page Pal plush bookmark has a soft brown body, white ric rac details, a cute red bow tie, and big red smile. Let Us Thank God is a warmly illustrated personalized children's book that shows early readers many reasons we have to be thankful. God's Special Gifts to Me is a wonderful personalized children's book that helps explain God's love to children with easy to understand text. My Book of Prayers is a non-denominational personalized kids book that teaches young children how to pray.